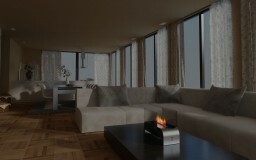 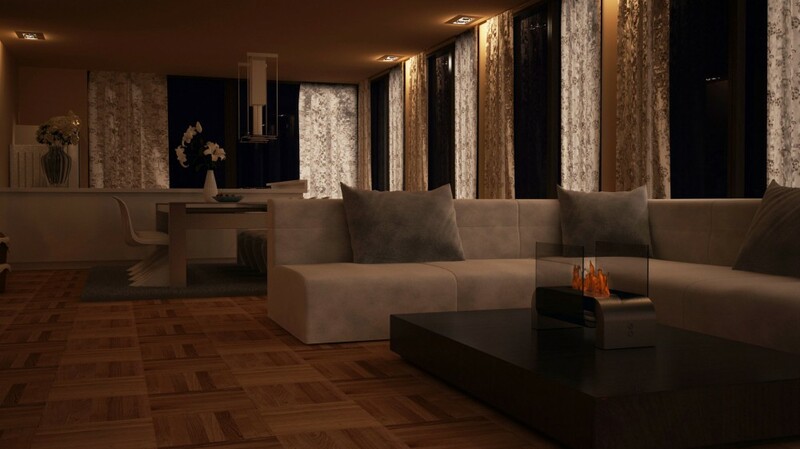 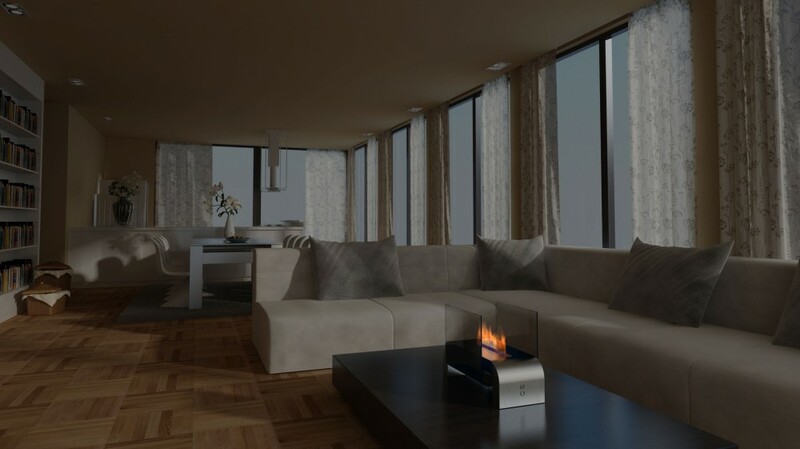 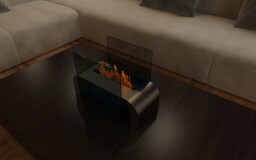 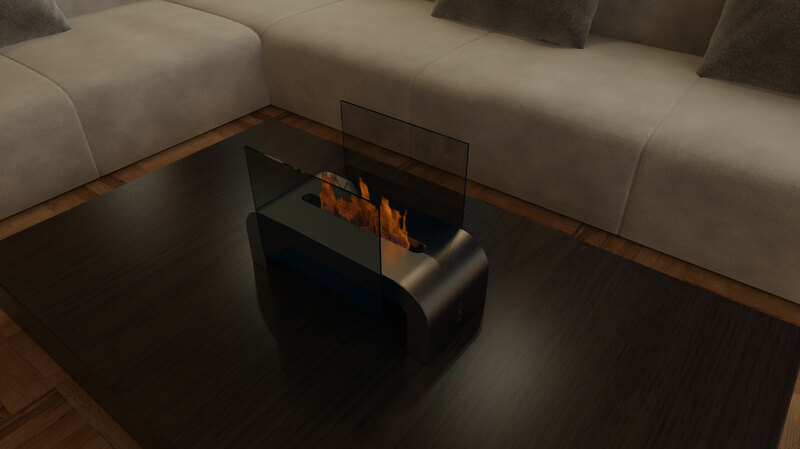 This bio-ethanol burner concept adds some technology to the age-old human desire to control fire. 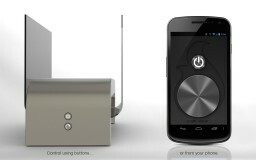 Apart from an on/off button and a level control dial, this burner can also be controlled using a smartphone app. 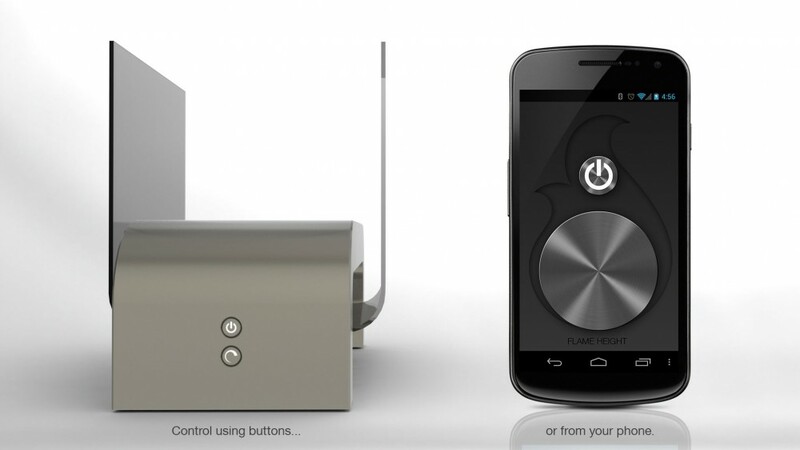 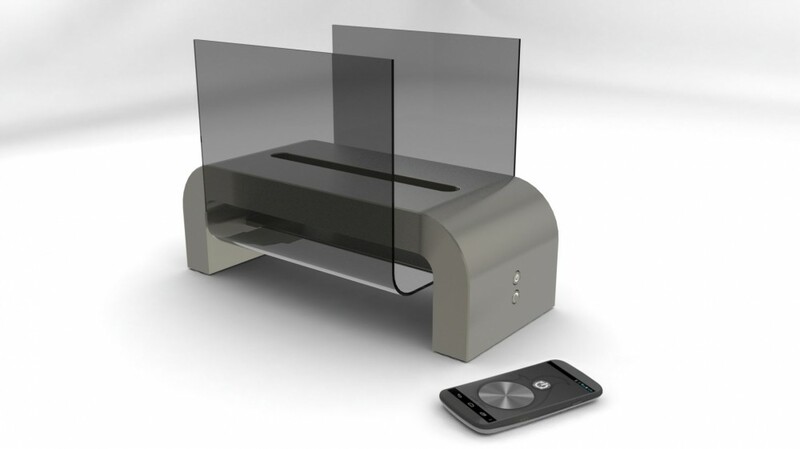 In order to do this, the Double U concept uses a low-power Bluetooth 4.0 module which has been integrated with the physical user interface (buttons). 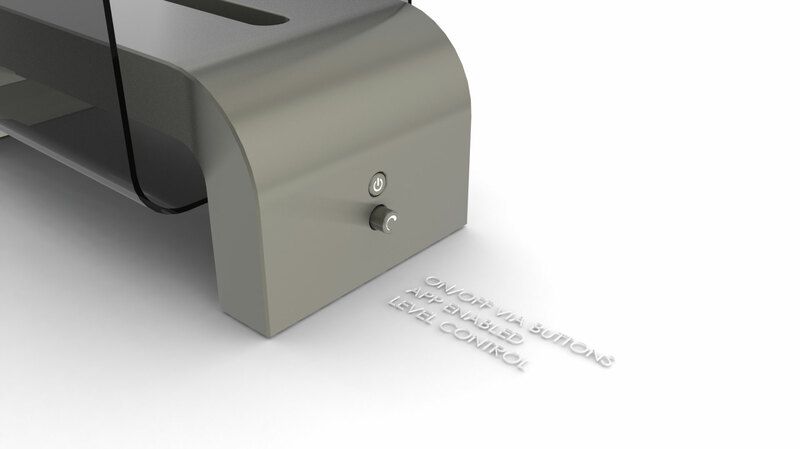 The buttons on the burner itself also contain lights which can be dimmed or turned off completely. 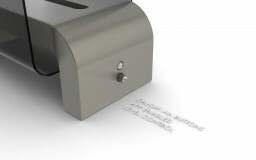 Power is delivered by a large rechargeable battery in the base of the stainless steel foot containing the control panel.